We've had the privilege to carry a century of humanity. But maybe what we carry isn’t just people, it's an idea: that while we're not the same, we can be one. All it takes is the willingness to dare. This Cadillac commercial, entitled "Carry," begins by showing street protests before transitioning into scenes of humans helping other humans, like soldiers assisting a wounded compatriot and a man being airlifted from a flooded neighborhood. 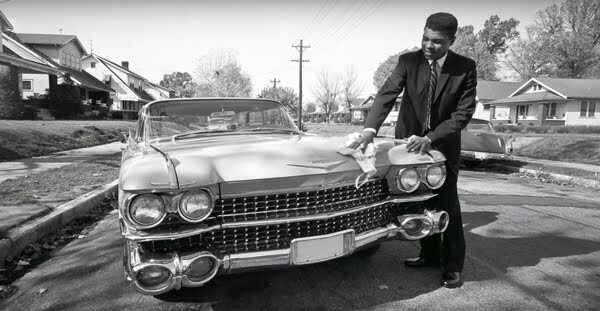 The General Motors brand then makes an attempt to remind viewers of its historical presence with old scenes of celebrities and their Caddys, including Muhammad Ali and Marilyn Monroe.